Christopher Williams, the chief distiller at Coppersea Distilling in New Paltz. Prior to Prohibition, rye whiskey reigned supreme in New York. Farmers planted rye in great abundance and the grain thrived in the region's rocky soils and often cold climate. When alcohol became illegal in the US in 1920, the state's rye fields went fallow and whiskey ceased being made from the grain. By 1933, when the nation's failed experiment with abstinence came to end, the damage to New York spirits production had already been done, and the tradition of making rye whiskey in the state was not revived. In Kentucky and elsewhere in the South, bourbon—a sweeter, corn-based whiskey—thrived post-Prohibition and became the dominant American variety. In 2007, Tuthilltown Spirits in Gardiner launched Hudson Manhattan Rye, the first legally distilled rye whiskey made in New York State after Prohibition—which, incidentally, won an Ultimate Spirits Championship award this year. Now Tuthilltown has joined six other distilleries to revive New York's lost rye-producing tradition via the creation of Empire Rye: Coppersea Distilling, located, like Tuthilltown, in the Hudson Valley; New York Distilling Company, Kings County Distillery, and Van Brunt Stillhouse in New York City; Finger Lakes Distilling; and Black Button Distilling in Rochester. Why rye? First of all, it's historical. "Rye is such a quintessentially New York spirit," notes Van Brunt Stillhouse co-owner Daric Schlesselman, "dating back to the earliest Dutch settlers." Empire Rye's rigorous guidelines require, among other things, that the whiskey be made from a mash bill (the mix of grains used at the start of the whiskey-making process) consisting of 75 percent New York State rye grain, and that the whiskey be aged for at least two years in charred, new oak barrels at not more than 115 proof at time of entry. Distillers who follow these guidelines will earn the right to label their whiskey as an "Empire Rye," and consumers will know that they are getting a distinctive New York State product, the same way that scotch drinkers know their whiskey is produced in Scotland according to strict criteria, and champagne drinkers know the bubbly beverage is carbonated and made from grapes in the Champagne region of France. These spirit producers hope the strict guildlines will make "New York State" and "rye" as synonymous as "Kentucky" and "bourbon." Congress declared bourbon a "distinctive product of the US" in 1964, and ever since then, in order to be labeled "bourbon," a spirit must be produced in the US. More than 90 percent of all bourbon is produced in Kentucky. 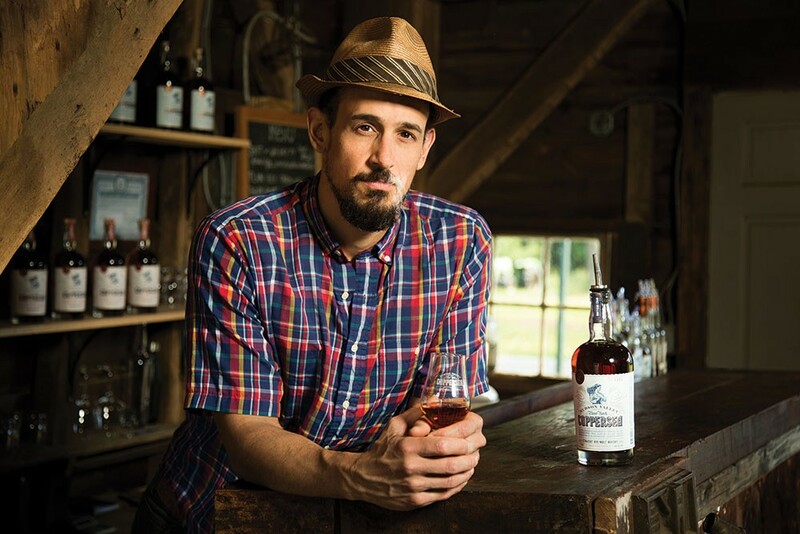 "All of the distillers involved in this project, we have a very deep affection for our state and we want to give it its whiskey," says Christopher Williams, chief distiller at Coppersea Distilling in New Paltz, who dreamed up the Empire Rye concept. Tom Potter, co-owner of New York Distilling Company in Brooklyn, one of the guidelines' originators, hopes the Empire Rye label will make this type of whiskey equivalent with New York. 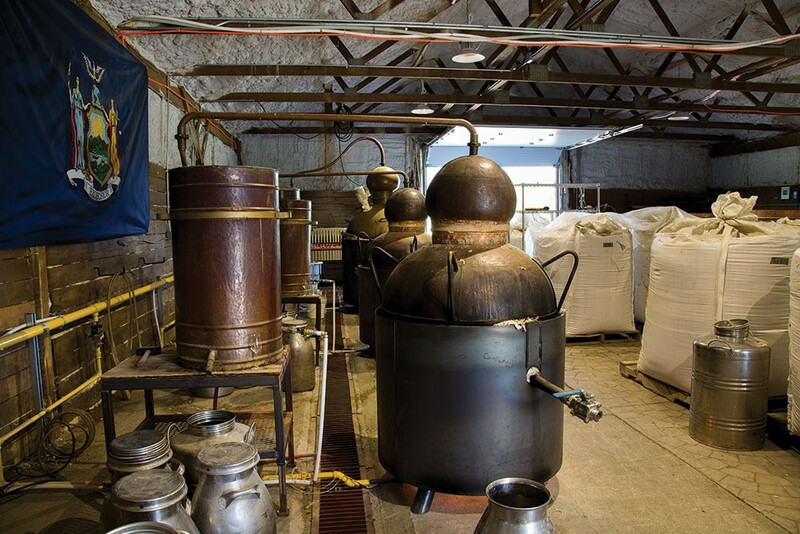 "If people think of Kentucky as the place where bourbon comes from, where does rye come from? It should come from New York," he says. "We feel there's an opportunity to create a historically true identity and expand on that and take advantage of our strengths: our history-making rye whiskey, the agricultural ability to grow terrific rye here, [and the fact that] New York has always been the world capital of cocktails." Potter believes that the project is the type "that benefits from a group effort." He explains, "No one distillery is going to create a style that is recognized or a terroir that is appreciated. It takes a broader effort." Williams drafted the guidelines in collaboration with representatives from five other distilleries. An additional distillery, Van Brunt Stillhouse in New York City, did not participate in writing the guidelines but has already adopted them, and is participating in the label's launch. Williams admits to having long nurtured an "almost obsession" with regional styles of food and drink. "It's always fascinated me, the evolution of these styles," he says, "whether it's a whiskey style or wine style or cheese style or some regional food that leads to a range of similar dishes that, from a perspective of provenance, are strongly associated with a particular country or region." Historically, whether it's a drink like scotch or a musical style like Delta blues, explains Williams, regional styles tend to develop best when they can evolve and grow naturally over time, free of influence from the outside world. In today's era of instant communication, that's unlikely to happen naturally, so Williams and his fellow distillers decided to contrive a set of standards to create a New York style.